Is there such a thing as a “perfect human being”? Many in Puerto Rico seem to think so. And those who do, believe the closest thing to one is, precisely, a Puerto Rican. At least, that is what can be gleaned from the social media buzz generated by a blog post by Lior Pachter titled “The perfect human is Puerto Rican,” published on December 2 on his blog Bits of DNA, written in reaction to the news that James Watson, co-discoverer of DNA's molecular structure, would be auctioning off his Nobel Prize. Watson was shunned by the scientific community after he made incendiary remarks about how research allegedly pointed to the conclusion that black people are less intelligent than white people. This was only the latest in a long string of racist and sexist comments made by Watson throughout his career. Pachter, who is a computational biologist, was being more than a little ironic when he chose the title for his post. The idea was to conduct an informal thought experiment to underscore how absurd Watson's obsession with genetically “improving” human beings really is. Essential to Pachter's thought experiment was the data on Single Nucleotide Polymorphisms, better known as SNPs (or “snips”) collected on SNPedia, an open database of 59,593 SNPs and their associations. The particular data Pachter used was collected by researchers at the Caribbean Genome Center at the University of Puerto Rico in Mayagüez. Using this genetic resource, Patcher [sic] looked at all the mutations in the database and notes the ones with a phenotypic effect. If the effect is positive, the mutation is beneficial. So the person with the most of the beneficial alleles and the least of the disadvantageous alleles must be the “perfect human”. It just happened that the sample that clusters the closest to this made up point was a woman we collected a sample from three years ago in Puerto Rico. She was therefore designated as the “perfect woman”. The nearest neighbor to the “perfect human” is […] a female who is… Puerto Rican. One might imagine that such a person already existed, maybe Yuiza, the only female Taino Cacique (chief) in Puerto Rico’s history. Leaving aside the historical error (Yuisa was not the only female taíno chief that we know of, nor can she be considered Puerto Rican), Pachter, to his credit, immediately admits that to try to define a perfect human is very misleading, at best. This is because the example is used to show that the author is sarcastic about this comparison. In fact, he is very happy that Puerto Ricans win the comparison, because he feared that the perfect human would be a white male of British descent such as Watson. For him, the exotic remoteness of the “winning” population is a great thing. As long as it were not Anglo-Americans, it could have been elves. Sadly, the audience did not see the subtle message, the resounding “Hurrah! We have won the race of the human race!” has made everyone unable to make a critical judgment. This is no understatement. Spanish-language news agency Agencia EFE produced an article that treated Pachter's blogpost as a serious scientific study. That same article was later republished acritically in numerous news sites, including one of the most widely read Puerto Rican daily papers, Primera Hora, which, despite having the benefit of an interview with Lior Pachter himself, only helped to spread disinformation, leading many to believe that there really existed such a thing as a genetically “perfect” human and that the closest thing to one right now is a Puerto Rican. A pesar de nuestros problemas sociales y económicos actuales, Puerto Rico tiene mucho de lo cual estar orgulloso. En particular, producimos buenísimos ingenieros, atletas y músicos. Atribuir su éxito a “genes buenos” de nuestra “raza” no sólo es un disparate científico, sino una falta de respeto a estos individuos que a través del trabajo duro, la disciplina y el esmero han logrado lo que han logrado. Si quieren saber si Puerto Rico tuvo algo que ver con el éxito de estos individuos, pregúntenle a un historiador, un antropólogo o un sociólogo y no a un genético. Ahora, si quieren aprender del potencial de estudiar genomas para mejorar tratamientos médicos y la importancia de estudiar una diversidad de individuos, un genético tendrá mucho que compartir. 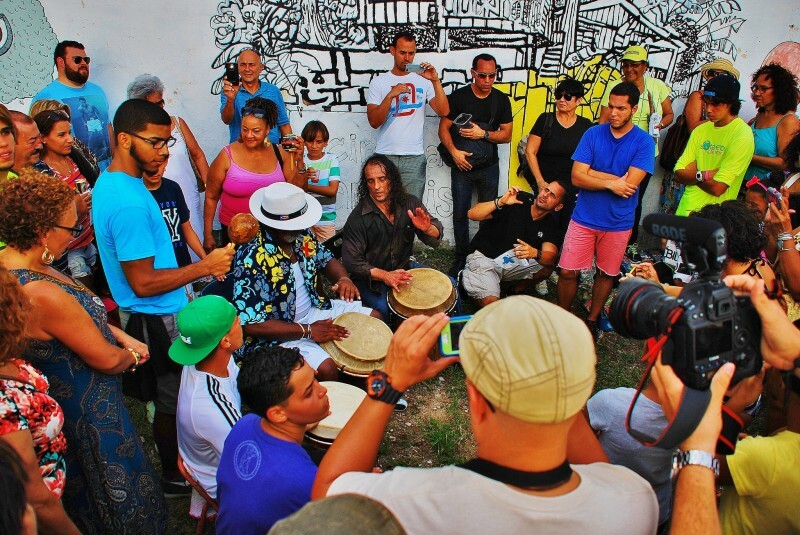 In spite of our current social and economic problems, Puerto Rico has a lot to be proud about. In particular, we produce great engineers, athletes, and musicians. To credit their success to the “good genes” of our “race” is not only scientifically absurd, but also disrespectful to these individuals who through hard work, discipline, and dedication have achieved what they have achieved. If you want to know if Puerto Rico had anything to do with the success of these individuals, ask a historian, an anthropologist or a sociologist, but not a geneticist. Now, if you want to learn about the potential that studying genomes has to improve medical treatments and the importance of studying a variety of individuals, a geneticist will have a lot to share. Whatever, man. I am LATINO, a mixture of things. You can say what you like. Doesn’t mean I have to care about your militant BS. “Hispanics” are from HESPANIA…… SPAIN. We are not hispanic. Latino was Vasconcelos’ concept and is NOT “Latin”. You don’t get to define me. Bye. You are so right. Many Ricans think they are Latinos because they speak Spanish, that’s like saying you are English because you speak English. Ricans are something else completely, I fact in the US census up to 2000 puertoricans were not included among Hispanics but as Puerto Ricans, completaley apart and recognized as their own kind. It was because of a political separatist party from the island that they were included among Hispanics. The problem is that in PR there are people from every where in Latin America and that lends itself to cultural confusion. How ever as races go, Puerto Rican is not actually a race.. But they share similar traits. It all good. Ive never seen a culture so cowardly as today’s Anglo Saxxons! To be afraid that data would show the British to be “perfect” or to be happy that an “exotic Puerto Rican” got the “perfect human” title throws it all in the garbage! I have a question; was it a white Puerto Rican like Governor Padilla or Wheel of Fortune’s Vanna White? (Vanna’s dad was Ponce native Miguel Angel Rosich.) Or is the Puerto Rican Black like Bernie Williams ? In his PC cowardice,he invokes a fictional cacique! This tells me a white Rican was the “perfect human’. If it had been a Black Rican from Loiza , THIS AUTHOR AND HIS HIPOCRITE BLACK DETRACTORS WOULD BE DANCING RIGHT NOW! No such thing as “black” or “white”, not even “brown”. Those are European terms from a long time ago. They certainly do not describe PEOPLE’S CHARACTER, which is most important in terms of identity. DNA is a social construct? Common Heredity among groups of humans is a social construct? Only Europeans saw “black and white”? I guess someone forgot to tell King Pharoah Tutankahamen (Tut) not to adorn his tomb with images of Himself mowing down subsaharan Africans. Africans called “nubians” and always depicted as bound,ugly and subhuman with exaggerated features. Wow Luis, you nail it! If you REALLY believed on character. YOU’D have no problem admiting blacks commit over 80 percent of all US violent crimes. I bet you’ll NEVER question “black character”. IN FACT I’LL GLADLY BE “RAYCISS! Go ahead and say it. Prove me right. BETTER “RAYCISS”than live in denial. When you”ve lived in Puerto Rico for a while, you learn that not everyone that claims to be “Rican” is actually one. In the island, there is a great number of people from other parts of the caribbean who’ve gone there looking for better chances.To see more of that mix that is closer to “perfection” you have better chances when you go west or center of the island. Looking at Puertorican women you can see that their bodies are usually well proportioned, even the more petite. Telling them apart from other “latinos” is easy because their their noses are usually small, their hair goes from straight (like a Chinesse) to medium curly soft, they usually have a small waist and their eyes are “intense”. They are mostly “Vanilla White” but the second largest group there is brown I guess because the sun “kisses their skin” most of the time. They usually look healthy and I believe that amounts a lot for their attractiveness. I think they have a more continental air than other latinos, but that might be my perception. I can’t tell you much about the men because i am one, but I can tell you that to the Puerto Ricans Ricky Martin and even Jenifer Lopez are just average looking Puerto Ricans. The fact that their mix not only makes them attractive is second to the fact that because of that mix many of the usual illnesses that affect other races get cancelled out.